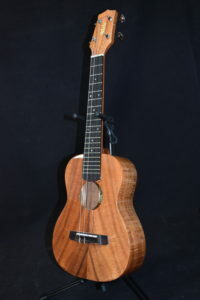 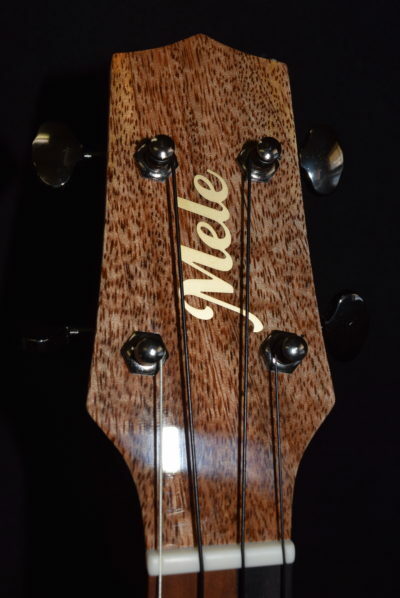 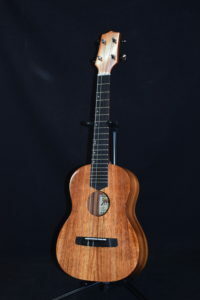 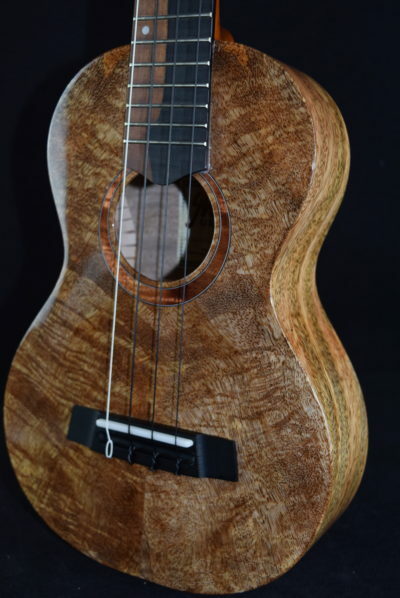 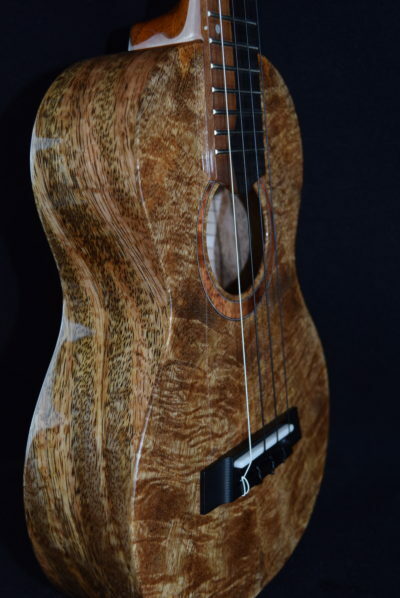 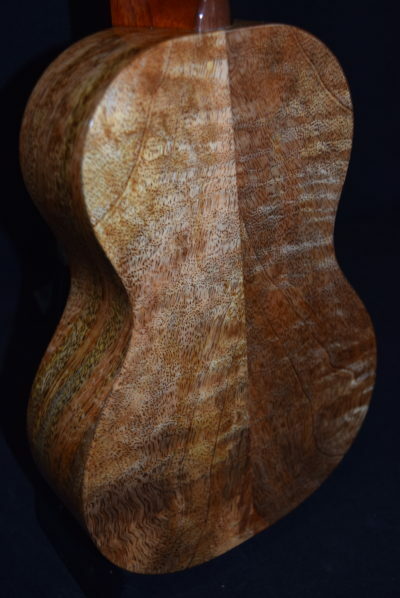 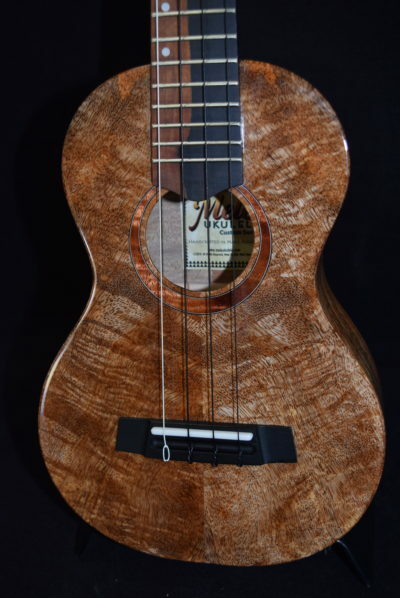 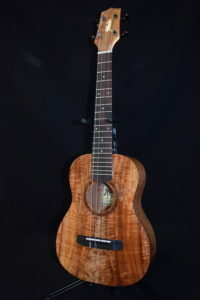 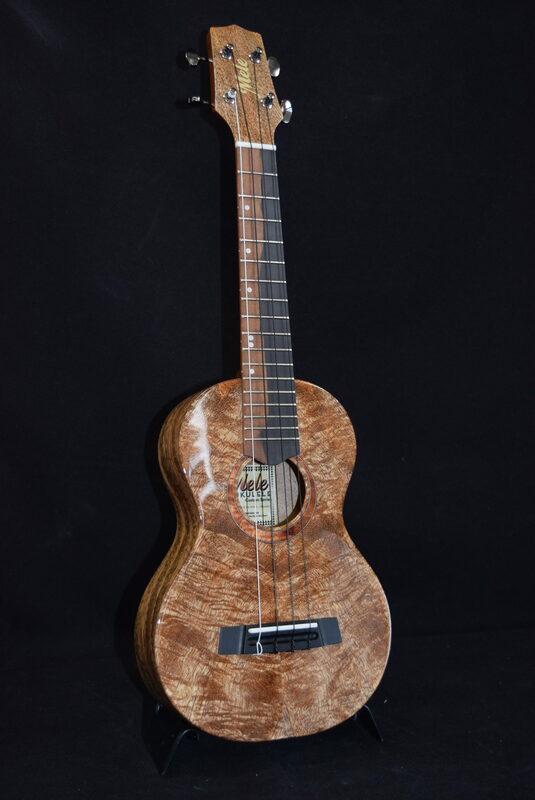 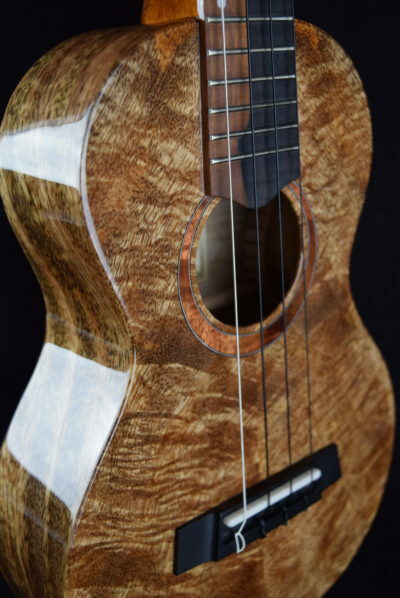 Customers have been requesting mango wood ukuleles for years now, and with our new custom-made (entirely built on Maui) line we are now able to produce some really deluxe ones. 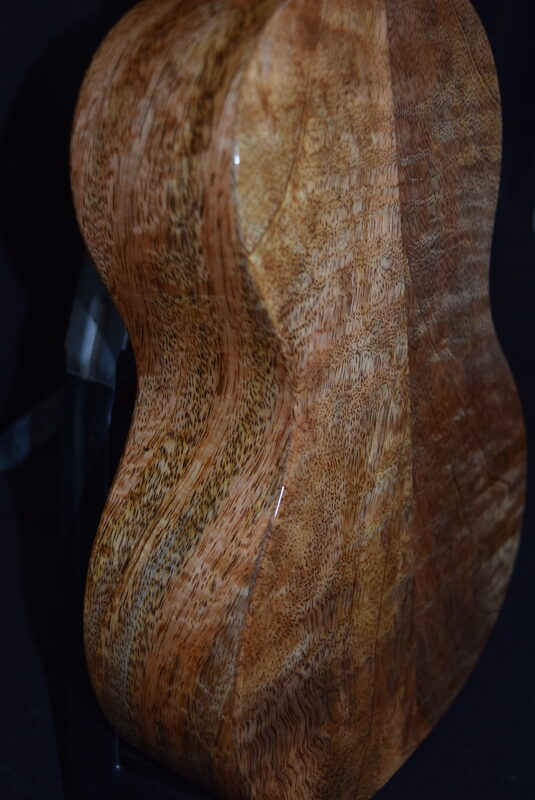 Mango is not a really easy wood to work with, but its sweet sound and dramatic appearance make up for it. 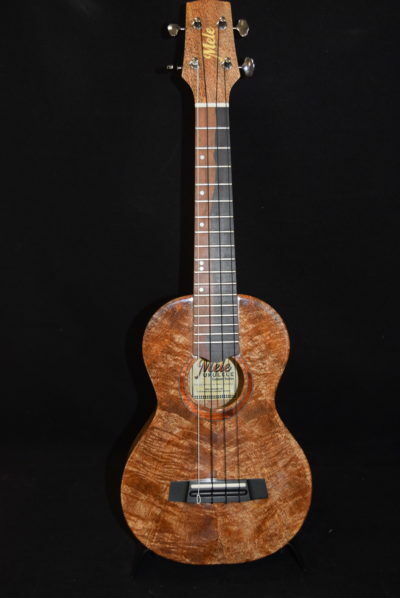 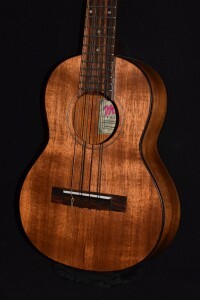 Actually, some of the earliest Hawaiian ukes were made of mango wood and are highly collectible today. We still make our necks out of strong, stable mahogany and bridges and fingerboards out of hard, durable ebony for long life. 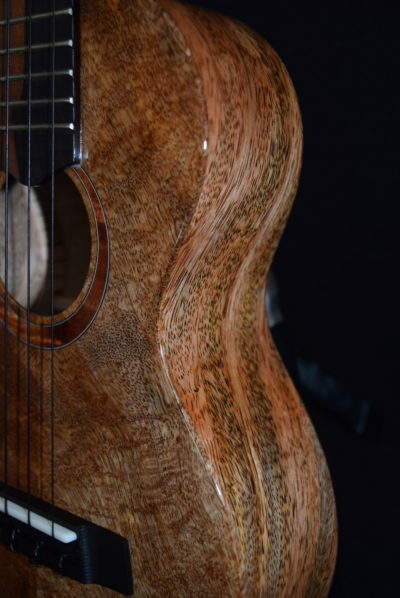 Try one of these mango concerts and you will be hooked!